Will virtual Windows kill off your desktop PC? Not the best solution available to remote desktop to your PC but we think this product could be better in the future. Definitely one to watch. We can't fault the Nivio Companion stylistically. It's a small enough box to be VESA mounted on the back of a monitor, with just enough ports to do what it needs to do, and a cutdown version of Linux looking after the basic functionality. The box is only part of the package, though. 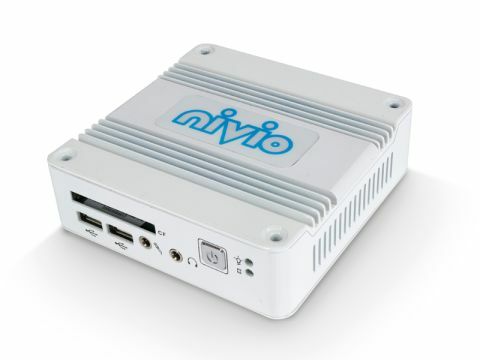 Nivio's online storage facility means you get access to all of your files wherever you are. The remote desktop facility can also be accessed through any machine via an online interface. If universal accessibility is important to you, we can't fault the service. But you could quite easily set up your own remote desktop from a machine at home. With a bit more cash you could buy yourself a light laptop to use wherever you may be. With literally any other solution you will avoid bashing your head against a sluggish brick wall every time you try to get things done online. We think it's worth the extra investment.